Took a walk on the Thames again tonight, and witnessed another gorgeous sunset. Basically, straight out of the camera. It's a longish exposure: note the plane in the top right. 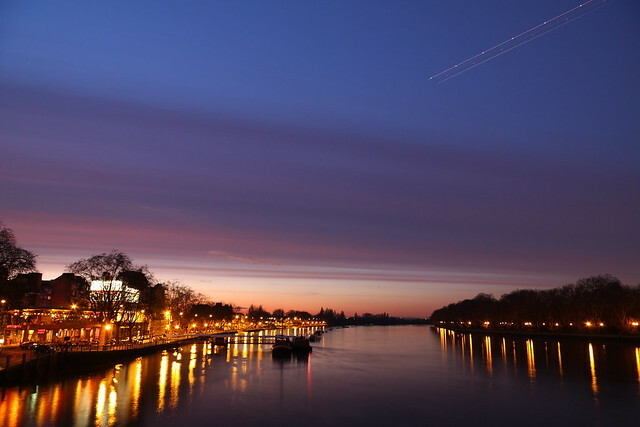 HI Peter, That's a lovely shot of Putney. Do you mind if I use this in my blog about Putney? It is one of my favourite places on earth. Oh, forgot to mention, will give you the credit. @humdinger: thanks, and sure, go ahead! would be nice if you could link back here.